For cyclists the Eisack valley is a popular route in which you can experience a lot especially on the track Brenner-Bozen. Especially mountain bikers have a good chance with us. Cross through the Dolomites on a mountain bike and you will discover impressive panoramic trails, attractive summits and exciting downhill passages in abundance. Inveterate professionals get their money’s worth during a mountain bike holiday in Eisack valley, as well as families, newcomers and leisure cyclists. 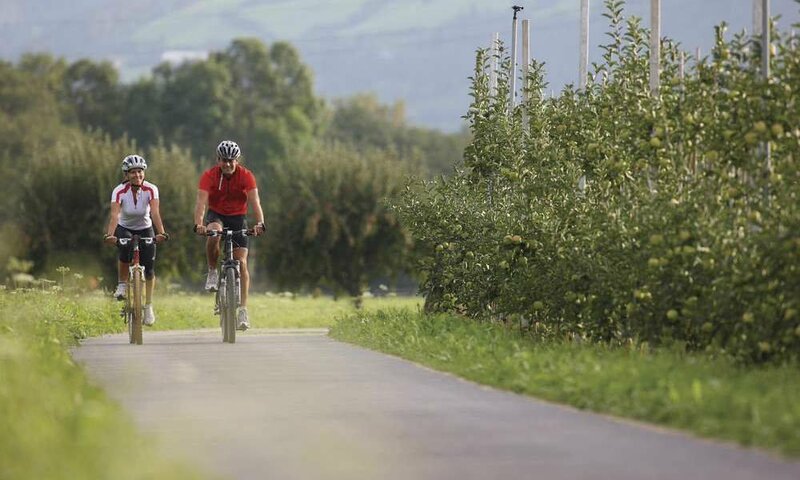 Our route network is precisely so varied, because, besides cozy valley sites it includes also many low mountain sections and high pastures – not forgetting the cultivated landscape of orchards and vineyards. Sightseeing tours on two wheels, always interrupted by idyllic off-road routes, await you throughout the Eisack valley. And of course there are also scenic “Cream Pies” for bikers who want to venture far up. Those wishing to explore by mountain bike the Dolomites, should necessarily visit the Feldthurner Alm (1,350 hm), the Villanderer Alm on the Stöffl Hut Tour (1500 hm) and to start climbing the Ansitz Fonteklaus (1.00 hm). 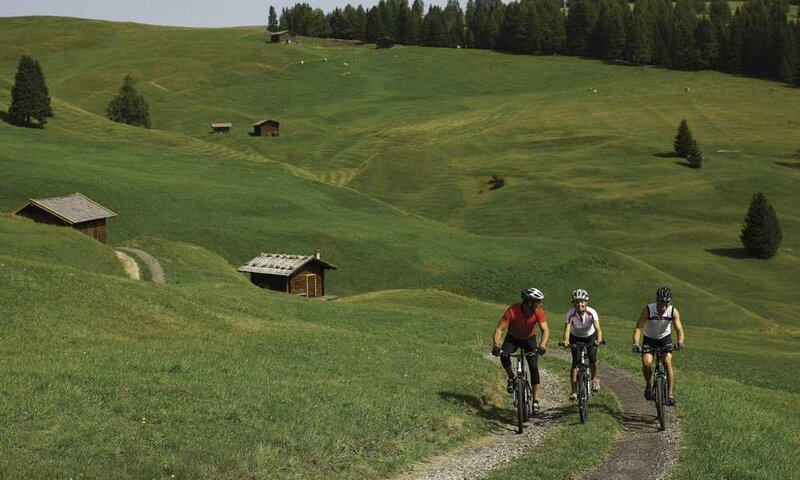 The area around Lajen and the Seiser Alm offer beautiful mountain bike tours in South Tyrol. And then you can always venture under the Geisler or through the Schlern region. Starting from Klausen you are actually in the Dolomites in the wink of an eye.